Our move from Georgia to Indiana has been a long road. We moved back around July of 2012 and if you would have asked me about the possibility of ever leaving Georgia in July of 2011 I would have said never. If you would have told me we would be moving the next year I would have said you were crazy. We moved to Georgia in 2007 with no intentions of ever moving back. We were on journey similar to Abraham except we knew where we were going or so we thought. We were seeking a country whose builder and maker is God and our journey led us to Georgia. At that time we were actually contemplating Alabama as well. At any rate, we were excited to be headed south to either Georgia or Alabama. I love the South and always hoped God would allow us to live there. My great-great-great grandfather died in Georgia defending constitutional government in the War Between the States. Most importantly there were exciting things happening down in the Bible belt. While these areas have been devastated (like everyone else) by the progression of perversion that has hijacked our culture, Alabama has seen advancements do to the Roy Moore campaigns. Georgia has seen a revival of historical Reformed churches especially around the Atlanta metro regions. However, in the long term God had other plans but we are thankful that the Lord allowed us to live in Georgia for several great years. Through this process God began working out the details to draw us back to the State of our birth and where we had lived most of our lives. Our families are established in the southern regions of Indiana and along with many other circumstances we will not get into, we found ourselves back home in Indiana as the song says. A year later I still find it strange because my mind was so set on Georgia. We have been seeking permanence and community in a Reformed setting for quite some time. In 2004 I publically declared my allegiance to Reformed Theology and began working for reformation within existing Baptist churches. Many churches, especially if they are an old historic church, are from the Reformation linage even though most have forsaken or lost their heritage. The Lord moved us away from reforming existing churches to establish a new reformed work. We believe Reformed Churches must be established if we are to reform existing ones. Until we are able to see vibrant Reformed congregations leading the way we cannot expect churches that have lost their historical doctrine and practices to return to the faith once delivered to the saints. This work is well underway with several strong Reformed churches of all historical denominational traditions in Georgia. While we benefited from seeing and being involved with some of these churches our work was to be in Indiana. So, we were confronted with the agonizing decision to move away from Georgia. It was not that we do not love or desire to live and work in Indiana. This is why it was an agonizing decision to move away from Georgia. Georgia was what was on our mind because of the rich heritage and existing Reformed works in the state. Indiana made the move away from Georgia easier in that it is familiar territory and the needed work in the state. Quite frankly, we are not needed in Georgia. We do not add to the work already being conducted by our brethren. Indiana is a different story. Not because we are anything. The only good in us is found only in Christ. Yet, when it comes to the work of the ministry, Biblical, historical and confession Reformed works are few and far between. Nevertheless, it does not take long second guess in a dry and thirsty land. Once we were back in Indiana there were several months we felt abandoned by God. Of course He will never leave us nor forsake us but in times of trial and tribulation we sometimes think as Ezekiel that we are the only ones and all hope is lost. We arrived in Indiana with fanfare and excitement thinking everything was going to fall into place at once. Yet God rarely works in such a fashion. Just review the Great Reformation and even in that supernatural work of God it was a long grinding process full of trials, tribulations and martyrdom. Sometimes I wonder if we really want revival and reformation today. It is very costly. Just a couple months in Indiana and things were starting to come to a sudden halt. A couple months more and we are wondering in our hearts if we made a mistake. However, God never makes mistakes! What we began wondering was for evil God thought it for good. Then we began to remember all the ways in which God had led us to prepare us for these situations. Given time for assessment both individually and as a ministry we gained understanding of the situation. 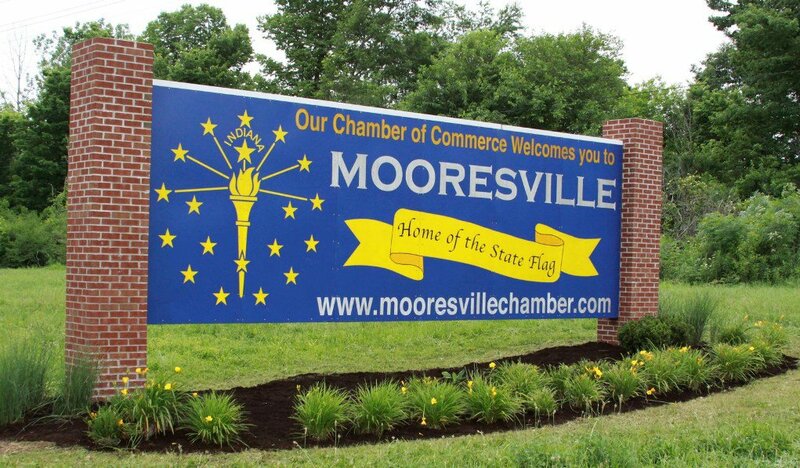 God was moving us to Mooresville, Indiana and this would be where we begin our work to finish out our lives. In the midst of this I became more excited about what God was doing than at any point in our ministry. That is not to say I have not had times where I was nervous or even doubtful. The heart is wicked above all things and who can know it (Jeremiah 17:9)? 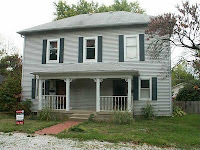 We were living in temporary housing in Morgantown, Indiana looking for a house of our own to begin this quest. After about seven months, God brought us into contact with information about a house in Mooresville. It is a big house with plenty of space for our large family and our needs to begin ministry here. It was also listed at an exceptional price. Due to the housing collapse the sell price was nearly half of what it sold for in 2002. We inquired and found out it was a short sale situation. We were warned about the pitfalls of such an endeavor with horror stories from sea to shining sea. Still yet, we really liked the house because it was what would meet our needs. We found a really good realtor through God’s providence and made an offer. We found out that our offer was only a few offers made on the house over the two years it was on the market. The agent for the sellers assured our agent that he could get this thing closed in 45 days. Well, 45 days go by and the bank had not yet accepted our offer. In a short sale the owners really have no say because the bank is agreeing to a loss and must approve the offer. We were able to get an extension but because of the long delay everything on our end was put on hold until we heard back from the bank. A couple weeks go by and the bank informs all parties they accepted our offer and we should be able to close in 40 days. Three days later we are informed by the bank we must close in 2 weeks because they are going to foreclose on the original owners. In spite of all the previous obstacles we were on the highest mountain upon hearing our offer was accepted. A couple days later we are in the lowest valley. Our financial agent said there was no way we could get it closed in such a short time. What was God doing? After all the obstacles we had celebrated as a family giving thanks to God upon hearing our offer was accepted. We had proclaimed God’s lovingkindness only to have to tell everyone the bad news. We remained hopeful and was determined we were going to give God glory no matter what but needless to say it was a very negative environment we were attempting to be a witness. Even our loan officer threw in the towel. Our realtor called another loan officer she knew of in Mooresville and he wanted me to give him a call. He wanted to give it a try even though it meant we would have to begin the process all over again changing the type of loan. We proceeded and the last two weeks was filled with more obstacles than boot camp. Every day there was a new problem that was going to kill the deal. Finally, we were two days away from the deadline with no hope and miraculously the bank gave us a week extension. I say miraculously because they had already said they would not give us an extension because the property was scheduled to go to the sheriff’s sale. Still yet, another week was still cutting it close. Our loan package was barely going to be processed in time if everything went well. In the end, it made it through two days before the deadline. What is God doing when He leads us into trials, tribulations and temptations? He is teaching us to trust Him, to glorify Him and to enjoy His presence in our lives so that His name is gloriously proclaimed throughout all the earth. Therefore, no matter where God has or is leading us, we must “Declare his glory among the heathen; his marvellous works among all nations” (1 Chronicles 16:24). Even if it is the valley of the shadow of death, do not fear (Psalm 23), for He will never leave us nor forsake us (Hebrews 13:5). God will bring all things for good among His saints just as He has always done throughout history. We are living His-story so that His fame will be spread through all the earth. So, in spite of all the disappointments and trials, it was worth it all to be able to sit down with my family to give thanks for His lovingkindness in reading Psalms of praise, giving prayerful thanks and singing the Doxology. These words were written in 1674 by Thomas Ken as the final verse of two hymns, "Awake, my soul, and with the sun" and "Glory to thee, my God, this night." These hymns were intended for morning and evening worship at Winchester College but remain today a great source of praise for the Church. The work of God is the same yesterday, today and forever. Therefore, in all things, let us glorify God and enjoy His presence in our lives as He reconciles the earth unto Himself through Jesus Christ our Lord. Glory be to the Father and to the Son and to the Holy Spirit; as it was in the beginning is now and ever shall be, world without end. Amen!